This silken pumpkin pie is wonderful served with lightly whipped cream. Although making your own pumpkin purée may take a bit longer than opening a can of pumpkin purée the flavour is worth the effort! 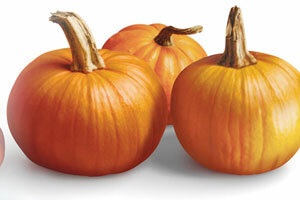 To prepare pumpkin, cut into wedges and remove seeds. Place wedges including peel in a large saucepan of boiling water. Reduce heat, cover and simmer until pumpkin is very tender, about 30 minutes. Drain very well. When it is cool enough to handle, scoop out pulp. Purée in a food processor until smooth. Drain any excess liquid. Preheat oven to 400 F (200 C). Thaw pie shell for 10 minutes. Prick bottom and sides of shell with a fork every 1-inch (2.5 cm). Bake in centre of bottom rack of oven 8 to 10 minutes. Place baked shell on a baking sheet. Reduce oven temperature to 350 F (180 C). In a large bowl, stir together pumpkin purée, cream, eggs, sugars, vanilla, cinnamon, ginger, nutmeg and salt until combined. Pour into prepared shell. Bake on centre rack of oven until filling is set when shell is jiggled slightly (the centre of filling will not be firm), about 35 minutes. Let cool completely on a cooling rack before serving.